But the efficiency and coordination of molecular pathways in our cells often surpass what a pit stop crew can achieve. Take for example, the events that happen in the eye when light hits the retina–millions of signals begin a cascade of molecular proportions within a second. At this rate, a retinal cell can run out of signaling molecules in just a few seconds. However, cellular processes of incredible efficiency keep the signaling system going by rapidly resynthesizing essential molecules. How cells coordinate and achieve this phenomenon is a puzzle that Raghu Padinjat's team at the National Centre for Biological Sciences (NCBS), Bangalore, has been studying for more than a decade. Now, the team has uncovered another piece of the signaling puzzle–they have identified a set of three proteins responsible for helping the pathway operate efficiently in cells. During this signaling process, PIP2 pools in the surface membranes of retinal cells are rapidly used up, and a constant resupply of the molecule is necessary to maintain the signaling system. In this, surface membrane levels of the molecule PI4P (phosphatidylinositol 4 phosphate) are crucial as PI4P is a key precursor for PIP2 synthesis. PI4P is in turn synthesized by phosphatidylinositol kinases (PI4Ks), of which there are 3 known forms–PI4KIIIα, PI4KIIIβ, and PI4KIIβ. Using the fruit fly, Drosophila, as a model, Padinjat's team has shown that PI4KIIIα is the isoform that maintains PI4P levels during signaling. Mutant flies with very low levels of this enzyme in their eyes show a very reduced response to light. This lack of response to light in PI4KIIIα-deficient flies was found to be due to PIP2 depletion at the surface membranes of the flies' retinal cells–this confirms the vital role of PI4KIIIα in maintaining PIP2 levels in the surface membranes of cells. In addition to this, the study has also found that PI4KIIIα works in conjunction with two other proteins, Efr3 and TTC7, to maintain PI4P levels. Much like the pit crew refueling cars during a race, Efr3, TTC7, and PI4KIIIα function together to rapidly refuel signaling cells with the required quantities of PIP2 to keep signaling going. The group's future work will focus on understanding how Efr3 and TTC7 work with PI4KIIIα to replenish PI4P and PIP2 levels during signaling. "Genetic variations in one of the components of the complex, Efr3, have been linked to autism spectrum disorders in humans. Although neurodevelopmental disorders such as autism are an important health issue, the alterations in neural cell function in the brain that lead to such brain illnesses are poorly understood. Furthermore, the human brain is a very complex organ and understanding its function via simpler models such as Drosophila can provide a lot of information. This study may therefore provide insights into the molecular pathology underlying developmental disorders of human brain function," says Raghu Padinjat, who heads the research laboratory at NCBS that carried out this work. In an interesting deviation from the normal methodologies, this work uses state-of-the art mass spectrometry (MS) to measure PI4P and PIP2 levels in the cells' membranes. "Usually, studies like ours use lipid-binding fluorescent probes to measure PI4P and PIP2 levels, but here, we have measured these low-abundance lipids using MS," says Sruthi Balakrishnan, who is the first author of a publication that describes these results. She also points out that MS offers quantitative data which complements fluorescence imaging-based methods that offer spatially resolved information. "The availability of a state-of-the art central MS facility at NCBS has enabled us to obtain quantitative insights into the secrets of how this pathway works" adds Padinjat. "Finding out that PI4KIIIα helps in maintaining surface-membrane PIP2 levels fills a major gap in our understanding of PIP2 metabolism and PLC signaling," says Balakrishnan. 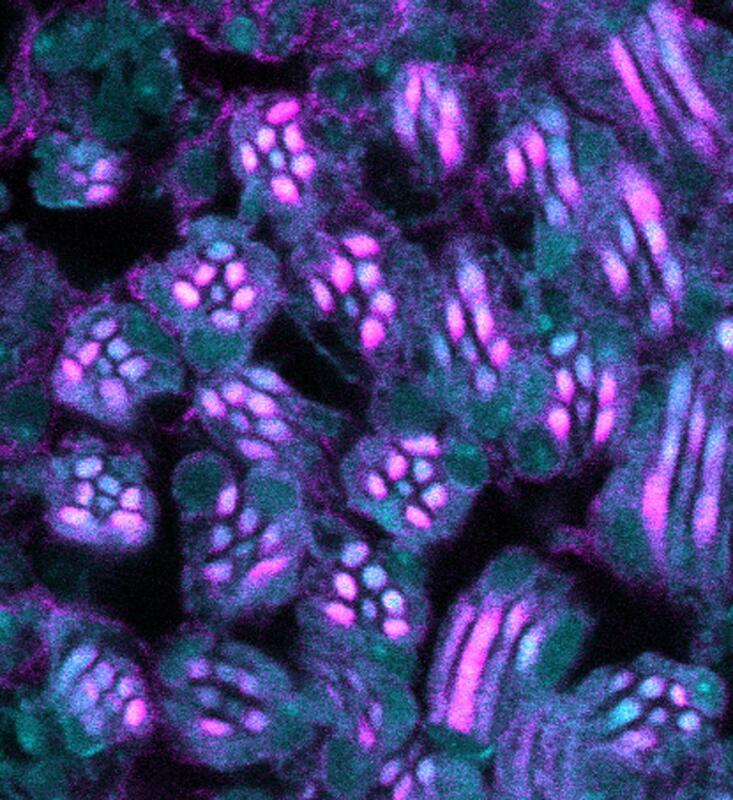 "Also, since the two processes are highly conserved across organisms, and occur in many cell types, our work in flies can actually tell us a lot about these pathways even in human cells," she adds.